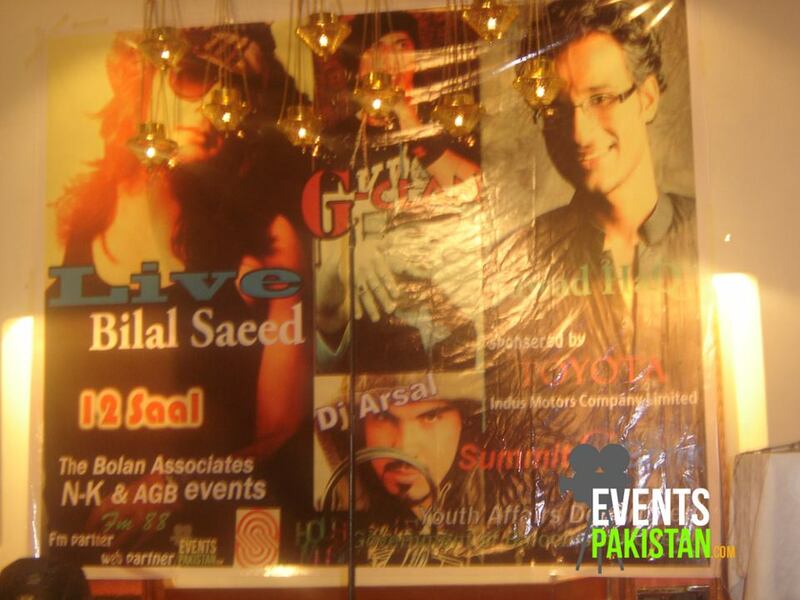 Finally we had a concert in Quetta after a long time.Featuring Bilal Saeed, DJ Arsal, Jawad Haq and G-clan. The concert was organised by The Bolan Associates, NK and AGB Events. Sponsored by Toyota Indus Motors Company Limited, Summit Bank and Youth Affairs Department Government of Baluchistan Quetta. FM Partner Fm 88 and EventsPakistan.Com was an exclusive web partner. The event was held in Serena Hotel and all arrangements were appreciable, organisers did their best for providing an awesome entertainment to the peoples of Quetta.Overall crowd was crazy. First Performance was of G-Clan The well known rappers of Quetta.... crowd was mind blowing by this I can surelly say that Quettians are also interested in rap Music. After them Jawad Haq made an unbelieveable crowd on his cover laal meri patt every body was dancing on it amazing time was it and at last we had dj arsal with our biggest celebrity of the event was Bilal Saeed. He looks makes more gorgeous and his voice just awesome It was a blasting event and crowd was singing with him was epic, what a perfect voices were they awesomeness. Organizers did their best by providing such a great entertainment to Quettians were Noman Kakar, Faraz Khan, Izhar Ali & Abdul Rahim.